Speaking as a Sitecore developer, XML files have the tendency to become so large that it’s tricky to figure out where exactly you’re working, seen from an XPath perspective. This makes the process of creating e.g. 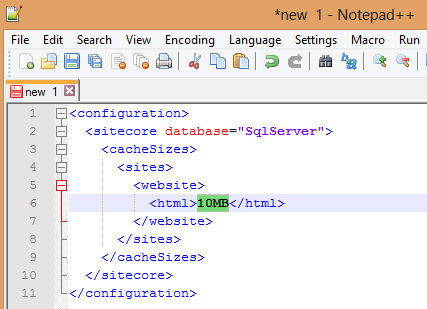 Sitecore include files tedious and error prone. 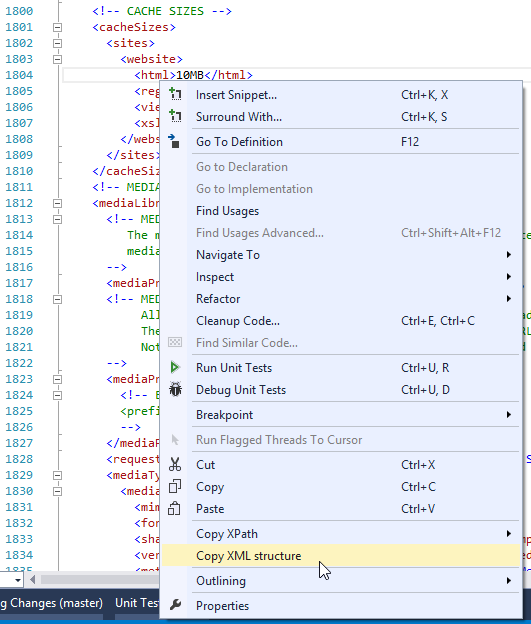 A while ago I created a small Visual Studio plugin which keeps track of the XPath matching your cursor position when working in files containing XML-markup (e.g. Web.config, NAnt files, MSBuild files, Solr configuration files, Spring.NET files … you get the point). I’ve recently released v3 of the plugin and thought it was about time to do a new writeup of the features. The plugin can be installed either by downloading it from the Visual Studio Gallery (http://visualstudiogallery.msdn.microsoft.com/c06c7b10-41c3-4aa9-8707-570eb9d879e6) or by opening “Tools -> Extensions and Updates…” and searching for “XPath”. The source code can be found at https://github.com/uli-weltersbach/XPathInformation. 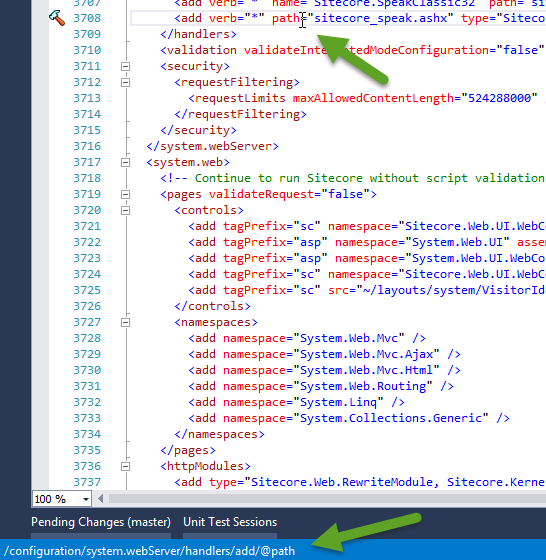 Note that xmlns:patch="http://www.sitecore.net/xmlconfig/" is not added to the root automatically. 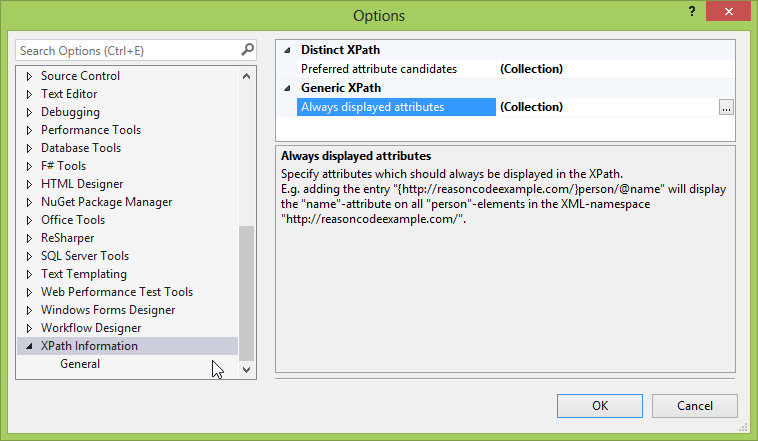 XPath variations available from the context menu. It’s possible to configure which attributes are copied to the clipboard from the XPath options page found in “Tools -> Options -> XPath Information”. Check the option descriptions for details. For personal use I’ve configured the attributes “id”, “name”, “type” and “method” to be used in distinct paths, as these make most sense (to me) when working with Sitecore. 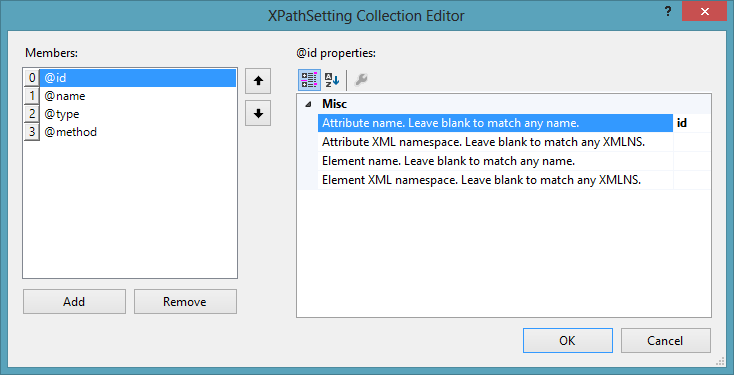 This way I can quickly copy the correct XPath to the clipboard when using e.g. “patch:before” in Sitecore include files. My XPath settings for the “Copy distinct XPath” command. 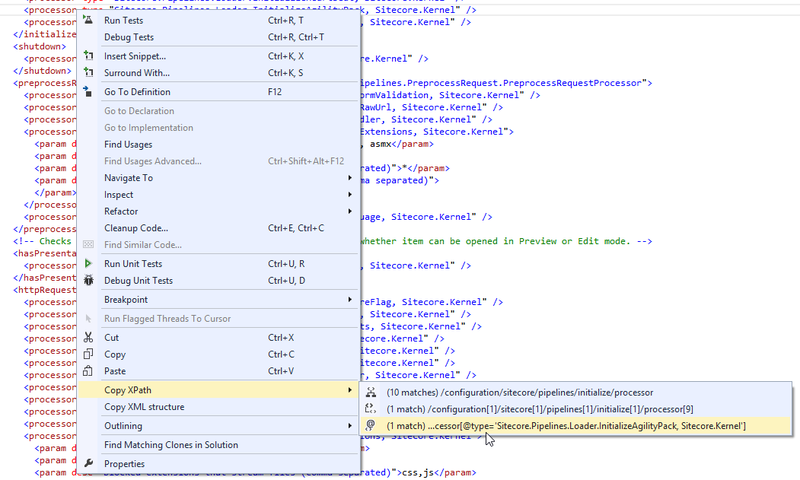 Example of the distinct XPath to a Sitecore pipeline processor when using the value of the “type” attribute, which is unique for this element among its siblings. Please use https://github.com/uli-weltersbach/XPathInformation/issues for feature requests and bug reports. 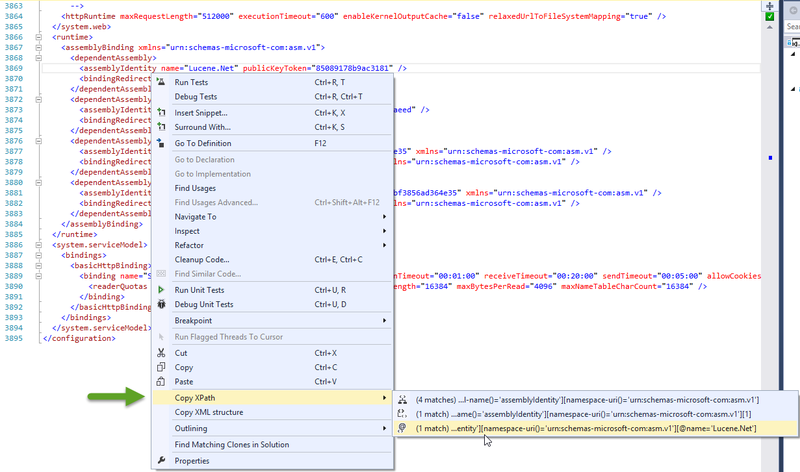 This entry was posted in C#, Sitecore, Visual Studio and tagged Sitecore Web.config include files, XML, XPath. Bookmark the permalink. Well, it seems a good plugin and I’d like to try it on my XML file. Thanks. Exactly what I needed for tweaking IISExpress configuration files. How can i use this in my Asp.net MVC project, where i want to find xpath of the crawled websites ? The extension can be downloaded from https://visualstudiogallery.msdn.microsoft.com/c06c7b10-41c3-4aa9-8707-570eb9d879e6 – is that your question?